Malaysia internet rapper becomes famous after altering Malaysia national anthem. He was reported that he wishes to meet with Prime Minster of Malaysia Nazib Razak to fulfill his dream. NameWee who is from Muar Johor, changed "Negaraku" to "Negarakuku". The response is truly overwhelming. Some people even regard him as a super idol. Since he is so popular, why not carry on with his creative work. Surprisingly, he made an emergency U turn to Putrajaya. 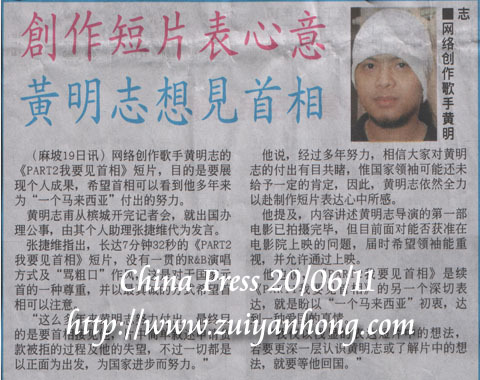 What do you think of NameWee now? Your feedback is most appreciated.